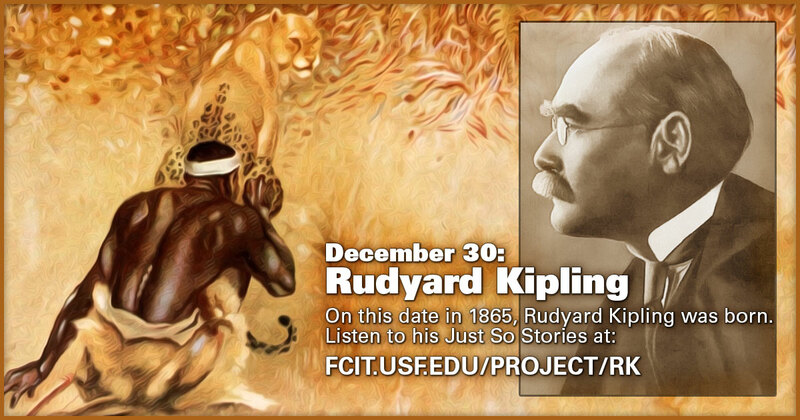 On this date in 1865, British author Rudyard Kipling was born. 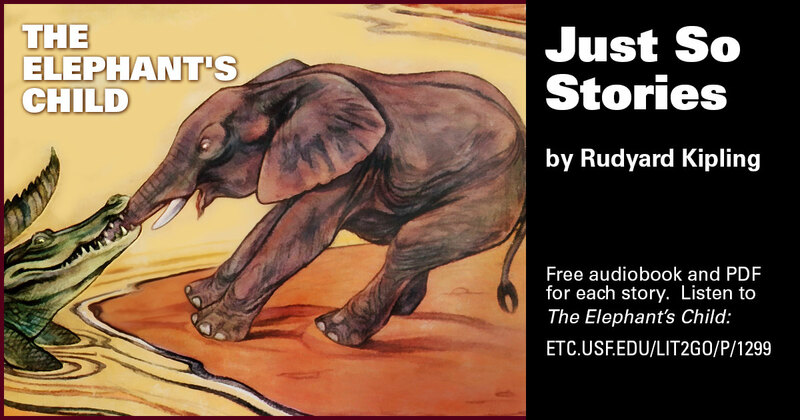 Celebrate his birthday with this audiobook collection of his delightful Just So Stories. 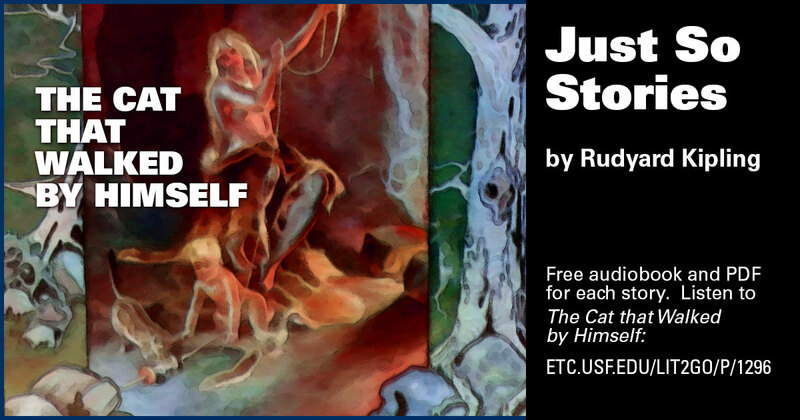 Use this banner on social media to share our collection of Just So Stories. 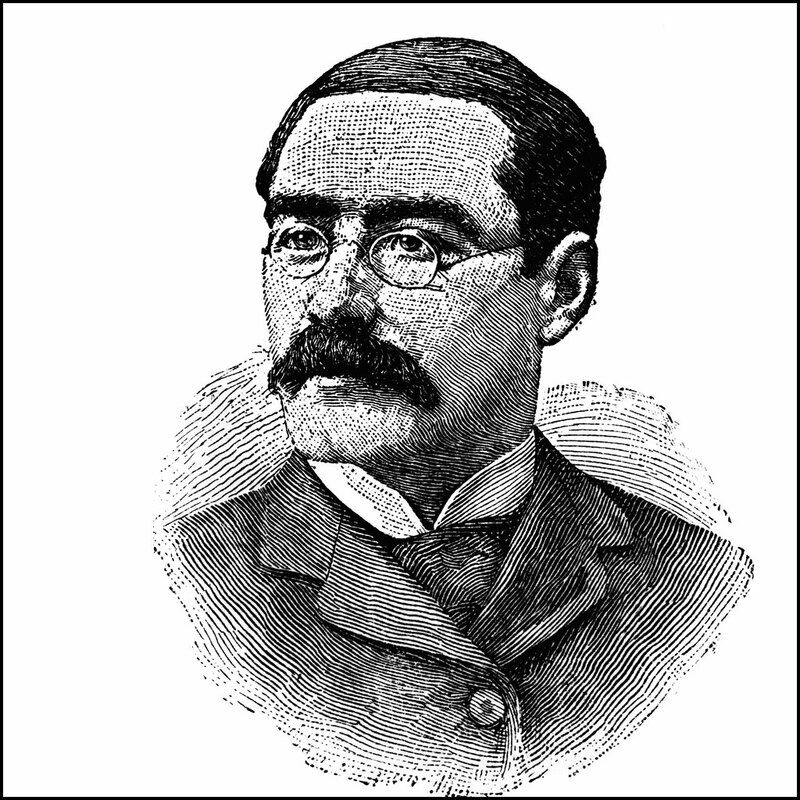 Illustration of Rudyard Kipling from the ClipArt ETC website. 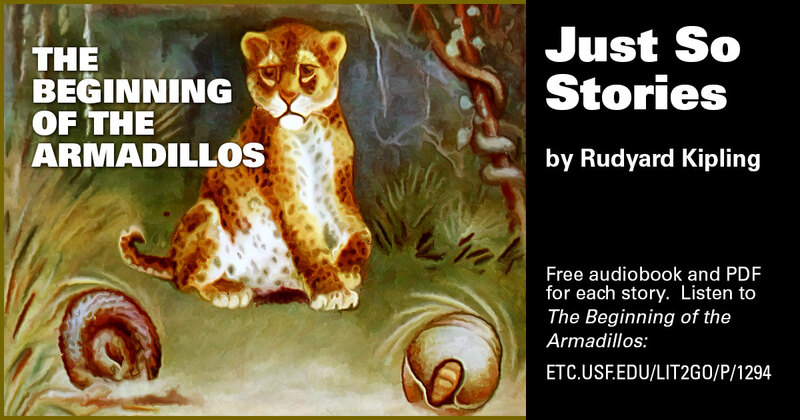 Listen to The Beginning of the Armadillos by Rudyard Kipling. Audiobook from the Lit2Go website. Duration: 14:38. Also available as a PDF. 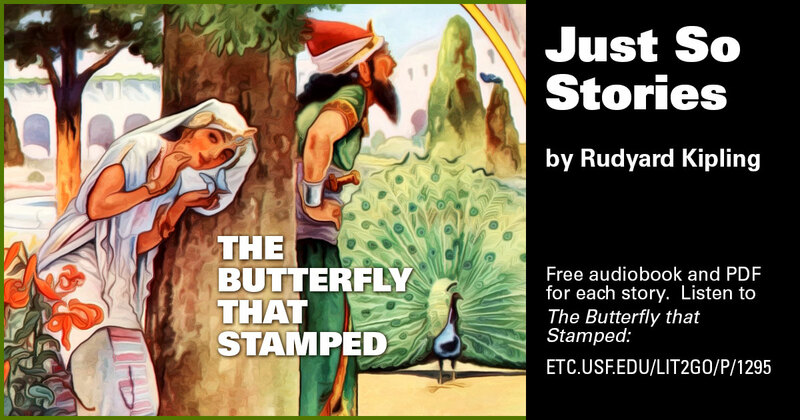 Listen to The Butterfly that Stamped by Rudyard Kipling. Audiobook from the Lit2Go website. Duration: 19:39. Also available as a PDF. Listen to The Cat that Walked by Himself by Rudyard Kipling. Audiobook from the Lit2Go website. Duration: 21:17. 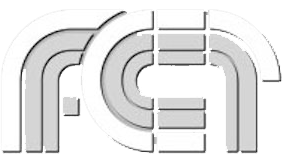 Also available as a PDF. 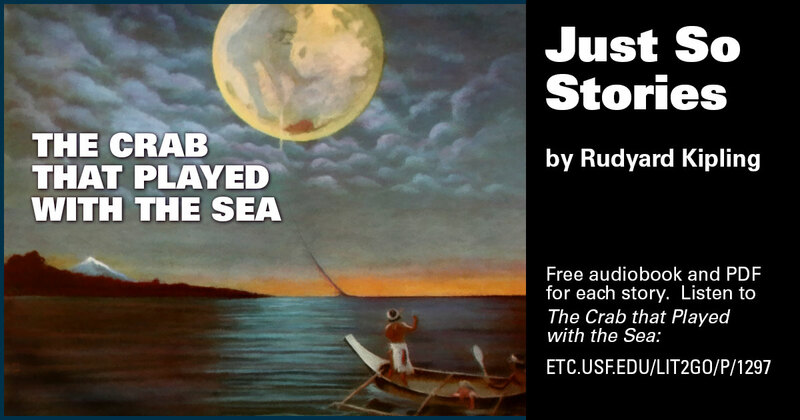 Listen to The Crab that Played with the Sea by Rudyard Kipling. Audiobook from the Lit2Go website. Duration: 19:46. Also available as a PDF. 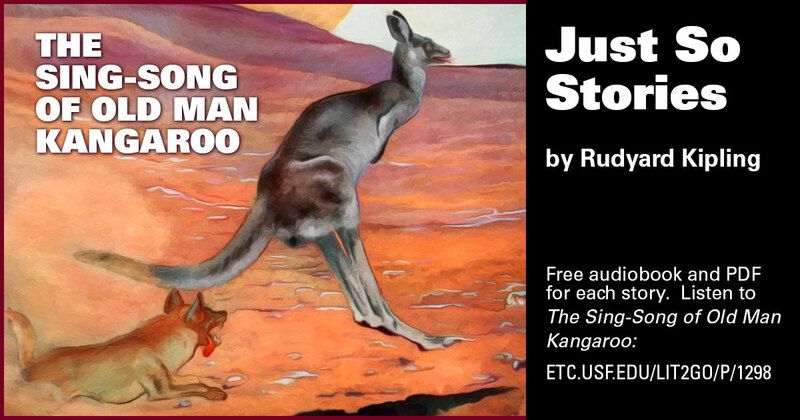 Listen to The Sing-Song of Old Man Kangaroo by Rudyard Kipling. Audiobook from the Lit2Go website. Duration: 6:16. Also available as a PDF. Listen to The Elephant’s Child by Rudyard Kipling. Audiobook from the Lit2Go website. Duration: 15:07. Also available as a PDF. 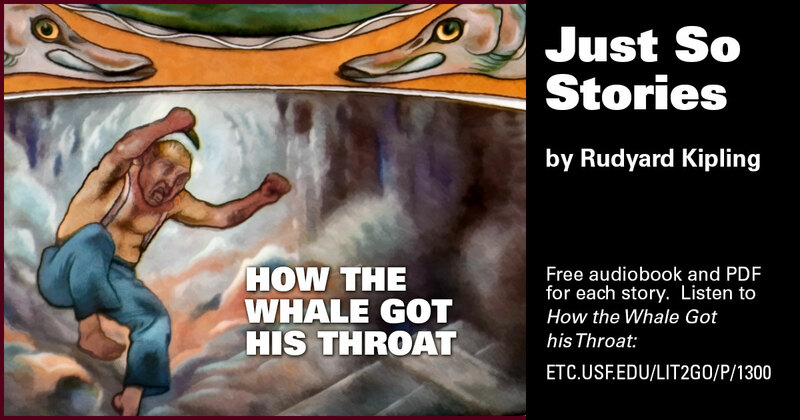 Listen to How the Whale Got His Throat by Rudyard Kipling. Audiobook from the Lit2Go website. Duration: 6:02. Also available as a PDF. 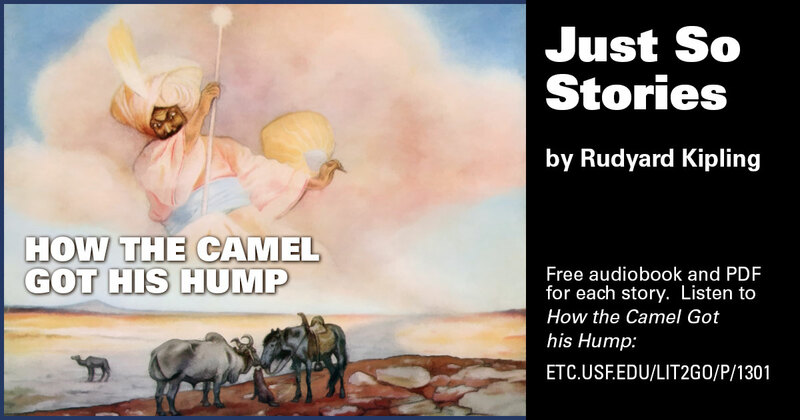 Listen to How the Camel Got His Hump by Rudyard Kipling. Audiobook from the Lit2Go website. Duration: 5:23. Also available as a PDF. 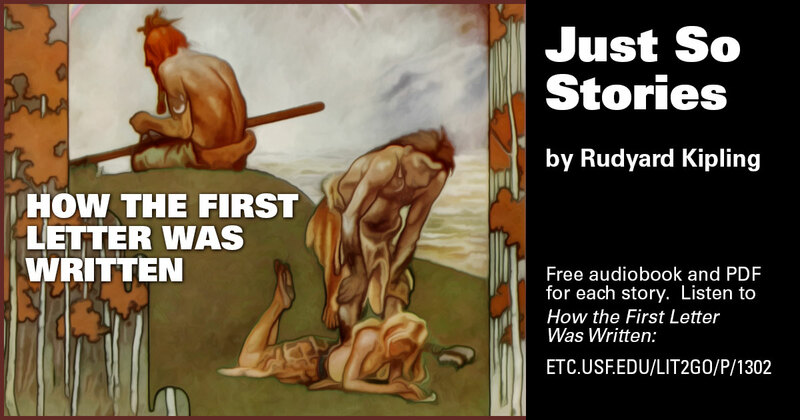 Listen to How the First Letter Was Written by Rudyard Kipling. Audiobook from the Lit2Go website. Duration: 18:40. Also available as a PDF. 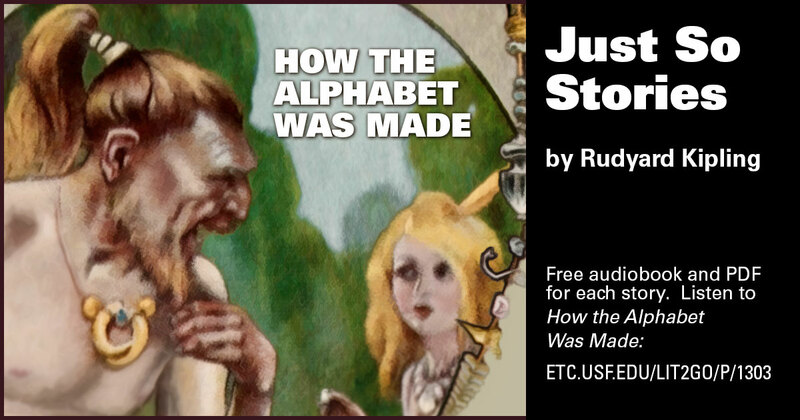 Listen to How the Alphabet Was Made by Rudyard Kipling. Audiobook from the Lit2Go website. Duration: 19:43. Also available as a PDF. 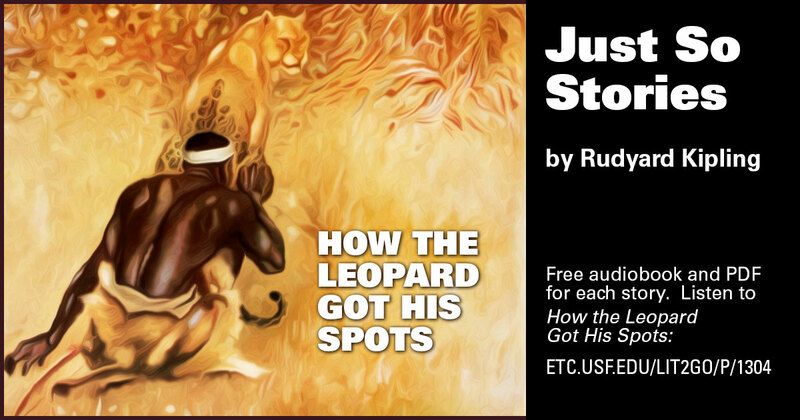 Listen to How the Leopard Got His Spots by Rudyard Kipling. Audiobook from the Lit2Go website. Duration: 12:19. Also available as a PDF. 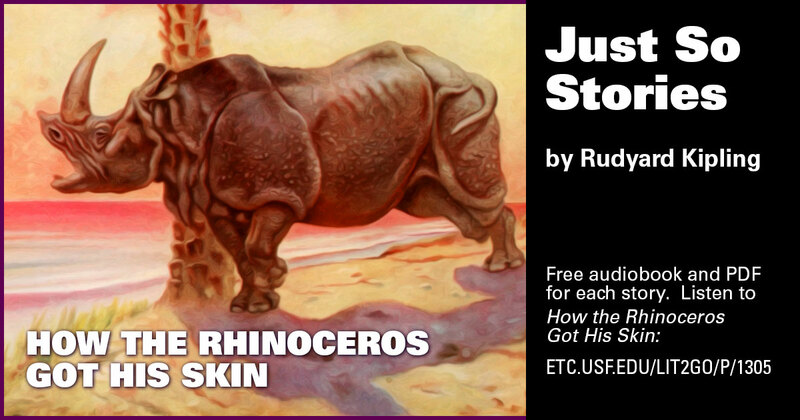 Listen to How the Rhinoceros Got His Skin by Rudyard Kipling. Audiobook from the Lit2Go website. Duration: 5:04. Also available as a PDF.